The Volcanix travel to Palmerston North tomorrow to take on Manawatu in round three of the Farah Palmer Cup Premiership aiming to put their tough start to the season behind them. 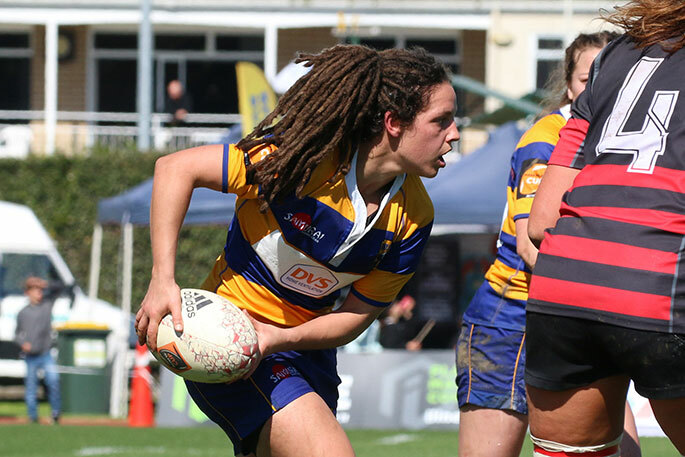 The Bay of Plenty women’s team have had a baptism of fire in the top tier of the competition with heavy losses to two of the competition frontrunners, Canterbury (55-5) and Waikato (44-7), but will be looking for a more competitive outing against Manawatu, who have a win and a loss on their record. Head coach Brendon Webby has made only one change to the forward pack from last weekend. Prop Angel Mulu earns her first start of the season, with Baye Jacob moving to the bench in her blazer game for the Volcanix. The remainder of the forward pack remains unchanged with Captain Christie Yule starting at six in her blazer game. Rawinia Luka will be hoping to make her debut from the bench as the team’s replacement prop. In the backs, a new midfield combination of Tania Raharuhi and Hana Tapiata will combine at second five eight and centre respectively. Rotoiti’s Polly Playle will start on the left wing in jersey number 11 while Mystery McLean Kora moves to the bench alongside Renee Holmes. The team’s Black Ferns Les Elder and Renee Wickliffe will once again run on in the 7 and 14 jerseys respectively.